Long time no see, we're back again and what better way to start if off than a new Just a Taste. This was my first time eating at Calories and I don't know what took me so long to give it a try. The restaurant offers something for everyone from homemade soups, lentil burgers to an assortment of tarts. 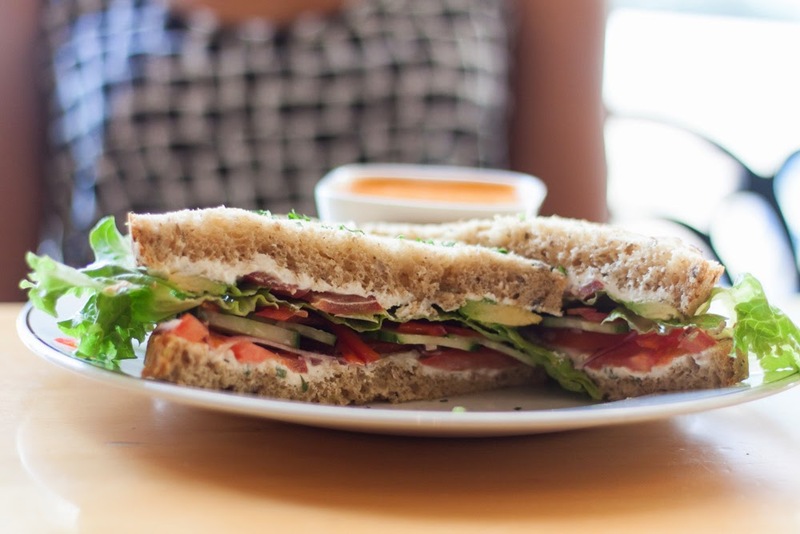 Aashna and myself came for lunch and she went with a tomato soup and vegetarian sandwich while I did the California club sandwich with homemade fries. First of all, our server was tight. She knew the menu well and had good input on the menu items we inquired about. When she brought us our dishes we were really stoked on the presentation from the large portions to the colours and neatly stacked sandwiches. Sure it looks good but how does it taste? The words that come into my mind are good texture and fresh. 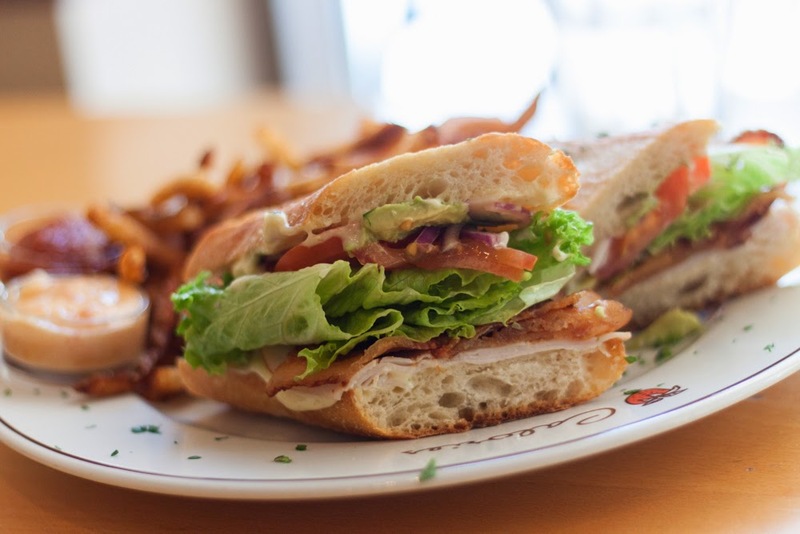 The club sandwich came on a Earthbound baguette, how could you go wrong with that? The smoked turkey, thick bacon, tomatoes, lettuce, onions and lime jalapeño mayo gave it a savoury taste that kept the sandwich in your hands until it was done. The fries had a good texture with a crispy outside and a soft potato inside. They came with a tasty aioli and house ketchup. 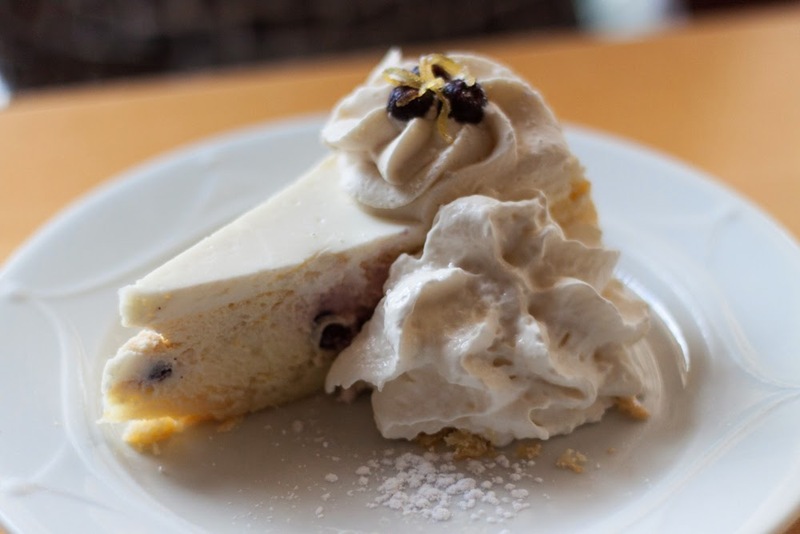 We couldn't stop there either, we had to try the Saskatoon berry lemon cheesecake. It was fresh with a nice lemon zest and Saskatoon berries. The cheesecake was light and paired well with their whipped cream. I don't think you can come here and not try something in their dessert area. Service was great, portions are large, food is fresh and flavourful and desserts keep you from stopping at the entree. Give it a try and let me know what you think!